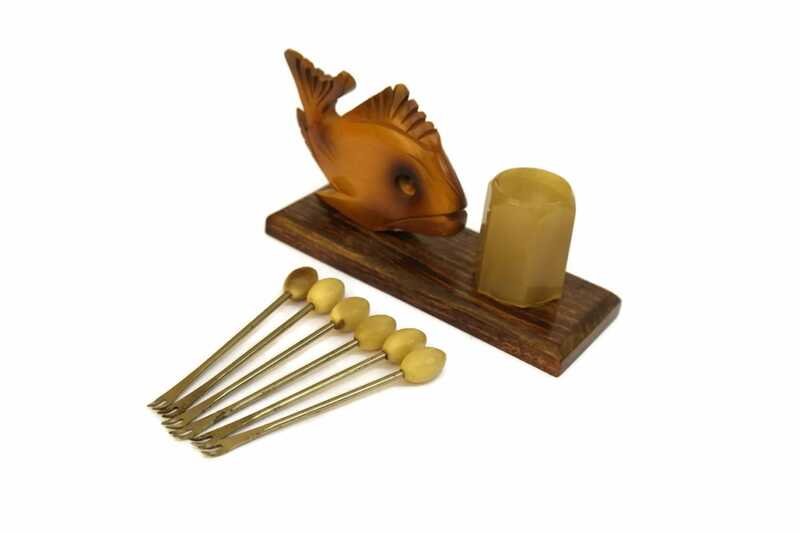 A set of 6 vintage cocktail horn handled picks with their horn holder on a wooden base decorated with a Mid Century wooden fish. The set was manufactured in France in the 1960s and features typical mid century design elements. 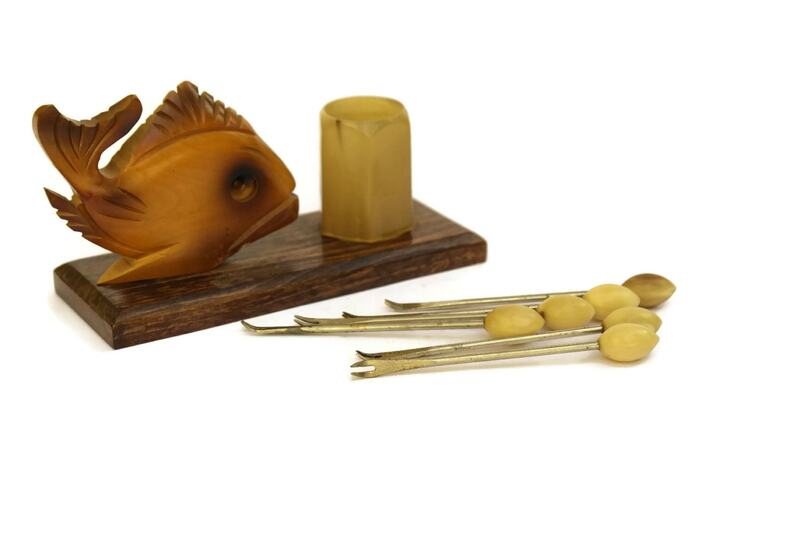 This cocktail set would be perfect for serving your traditionnal French aperitif (seafood, olives, fruits or cheese). 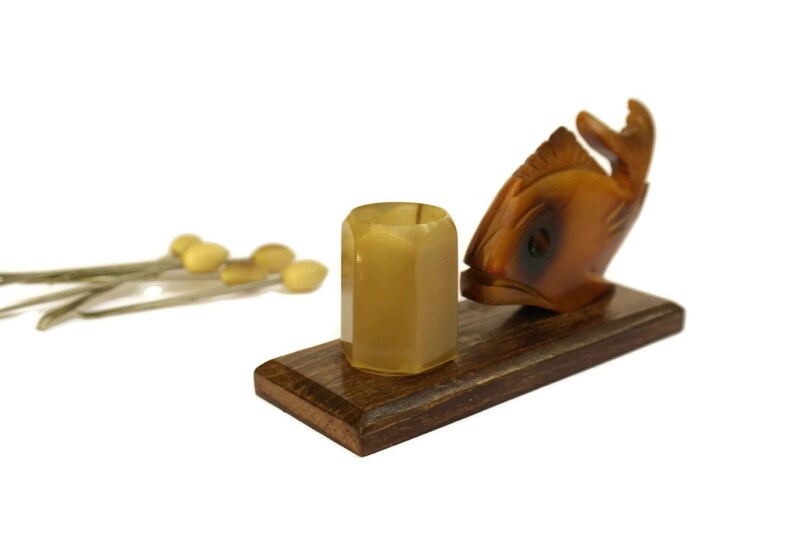 The set measures 12,5cm (5 inches) Long x 7cm (2,7 inches) High x 5cm (2 inches) Wide. Each cocktail fork is approximately 3,5" long (9cm). The set is in very good vintage condition. 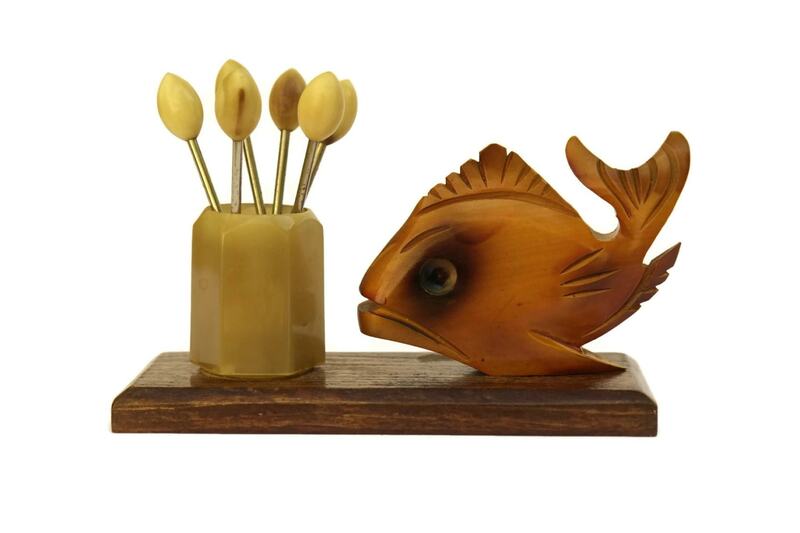 Item Ref: French Cocktail Picks horn holder with Mid Century Wooden Fish. Vintage Cocktail Forks. 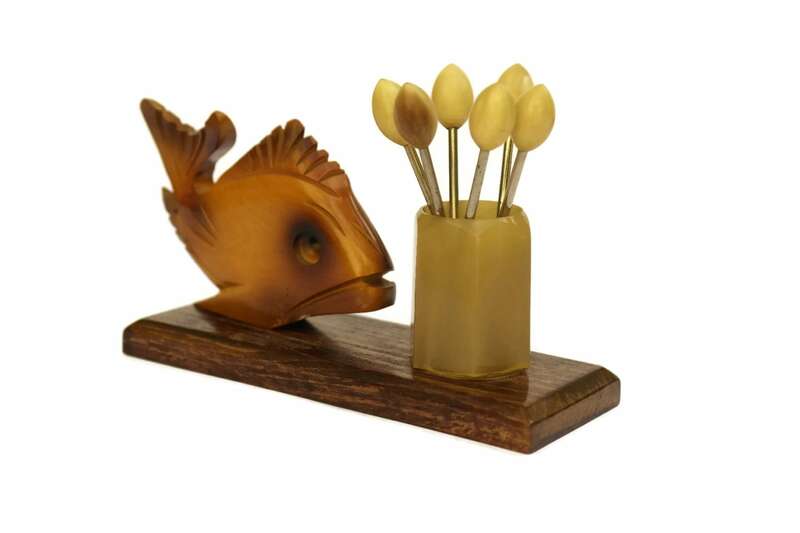 Fish Figurine. Olive and Seafood Horn Handled Sticks.